Our church plant has a small youth group (usually about 25 students) with 6 very committed young adult volunteer leaders. They recently began a semester of working through the Old Testament. For Genesis 1 and 2, instead of a sermon or video, the group was divided into two groups by gender. In one room the boy group read Genesis 1 together several times. In the other the girls read Genesis 2. Each group took notes and discussed what the text said and emphasized for the hearers. Then they outlined the chapter. The leaders gave guidance in the form of questions to take the students back to the text when they started reading into it. On a large poster board with colorful markers, each group drew a graphical/artistic representation of their chapter. Then they came back together and the students taught their chapter to the other group from their poster. Having students teaching one another engaged students in the learning process in a way that was wonderful. By the end, each group knew the contents of both chapters. Did you notice that both Christians, who think God is the author of life and truth, and scientists, who observe life, have the same version of what happened in the very beginning of the universe? Does that surprise you? More subtle though is the enormous difference between the two narratives. Science, not as a discipline but as an “ism” (called materialism) follows a very different narrative. BTW, We are not anti-science here, but materialism is a philosophy of life that what you see explains everything that is. When you know what materialism teaches you might choose to reject it. For the materialist, time and chance explain everything. 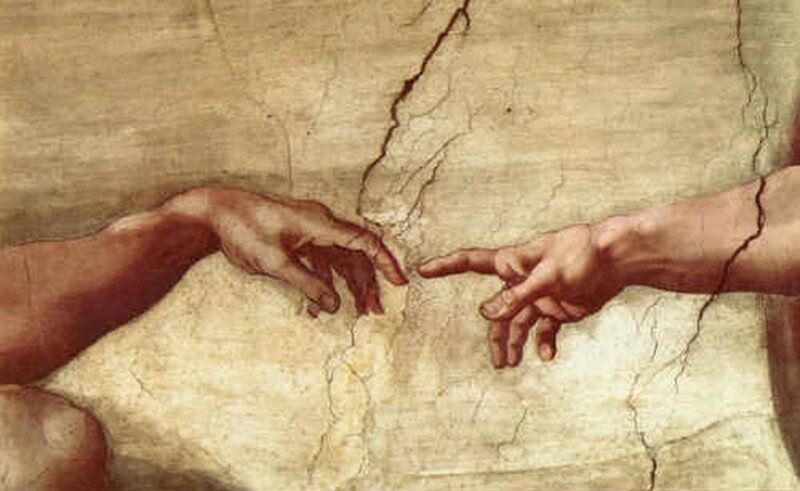 For the Christian, the hand of a loving Creator is the ultimate explanation. For the materialist, because they believe only in time and chance, all of life is an accident. For the materialist, you might be “unique,” but you are a unique accident. On the other hand, for the Christian, all of life is a gift. Life was made on purpose, with a high and holy purpose. So, in the Christian narrative, you matter. What you do matters. What you don’t do matters. Everyone around you matters to God too. If the materialist story is true, nothing you do matters. You don’t matter. If the Christian story is true then everything you do either spreads our Creator’s beauty and redeeming love or shuts it down. Which narrative do you see being played out around you? What might life look like if everyone you know, new God’s love for them in Christ? You see, both the Christian and the materialist see the same events, they just interpret them differently. Which narrative would you rather follow with your life? Thinking about what you said in our said in our discussion, why is it important that your friends know “the hope that is within you”? As a result of the teaching time students left with the ability to tell us what Genesis 1 & 2 actually says…and what it doesn’t say. They learned something about exegesis: letting the text, rather than other’s ideas of the text speak. And more, they left with a powerful doctrine of Creation and can tell you why that doctrine is important. They went to small groups and prayed passionately that God would help them stay clear on who they are and whose they are…and that they would have boldness to share with their friends the Good News of God’s love in Christ-because of how desperately their friends need a different narrative on which to base their life. Love the teaching idea. The skill of basic Exegesis is so lacking in today’s church! Raymond M. Perkins, Jr., Ph.D.
Hurrah! People are finally discovering that “teaching” never occurs without the parallel experience of “learning.” Without muscle movement, and change within the neurons of their brains, people never change. Perhaps we are on the cusp of a new kind of Reformation.